Happy cruising the THWACKillac this glorious Tuesday! 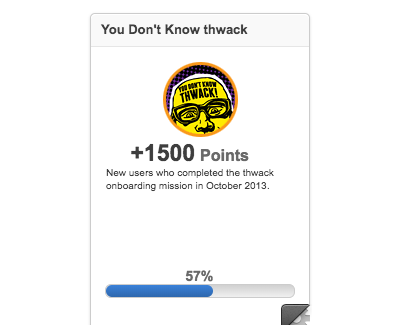 I can’t believe it’s been an entire three months since the last time we chatted about how THWACK is growing. Last week we wrapped up nine months of preparation for our epic annual virtual IT event, THWACKcamp 2017. 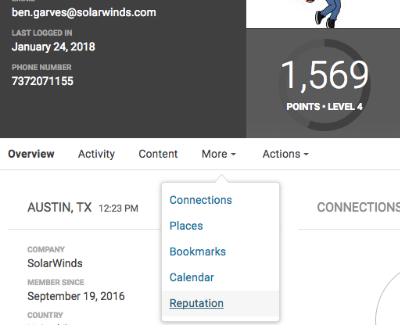 If you haven’t checked out some of the amazing sessions the SolarWinds team put together, zip over there and take a peek. I personally thought the 7 Deadly Sins of Data Management session was phenomenal, and I’m not even a DBA. 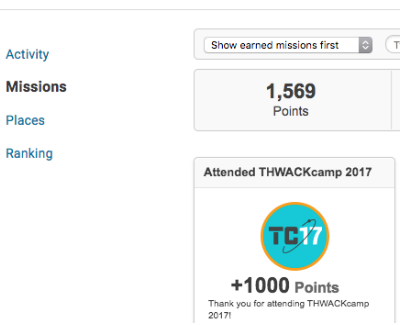 The event grew with vengeance this year, and helped us with momentum to make some really great updates to THWACK. If you’re active on here, you’ve probably noticed some of the changes roll out over the last couple of months, including @mentions in our live chat and a prettified (technical word) chat embed. Site facelift to match the gorgeous refreshed SolarWinds brand. Optimized navigation to simplify your life and make things easier to find. 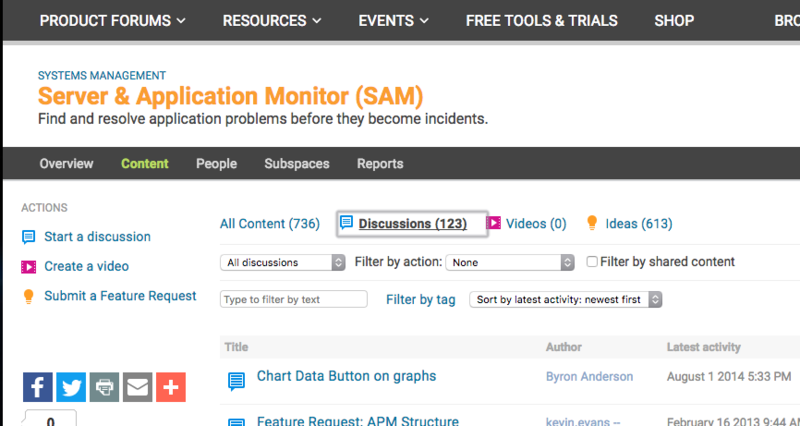 Missions have been de-coupled from blog posts, enabling us to (soon!) do much more exciting activities like Easter egg hunts, quiz games, etc.. The sky is the limit. Well..no…the cloud is. Whatever. Blog updates! While we gave a facelift to the ever-so-famous Geek Speak blog, you may have also noticed an exciting new blog called Monitoring Central. It connects with IT Pros on trends and events in the IT industry. Automated store rewards. WHAT? Yes. We can now give away store items to people for participating in any activity you normally receive points for. In fact, any THWACKcamp 2017attendee from the US, UK, Germany, and Canada is in the process of receiving swag bags for attending! All in all, a pretty solid quarter. As always, a tremendous shout out to Danielle, Wendy, and all of the amazing SolarWinds team members who made THWACKcamp 2017 such an epic event. We’d also like to publically humiliate our latest team member, Brett Holzhauer, as our latest baby penguin. Congratulations, you have defeated the Query Blocker, Performance Hog, and Blame Shifter disruptors and you are well on your way to a happy database! We hope you can take what you learned from this mission as you continue on your conquest of eliminating any and all disruptors in your way! Now, don’t eat too much of your Halloween candy as there are many treats to come during our November mission (launching November 6th). Take this 5 minute log management survey and enter to win a $50 Amazon Gift Card! We are considering making some improvements to Orion's log management capabilities. We'd really like to hear how members of the Thwack community are managing log data in your environments and are therefore running a Log Management Survey and would really appreciate your response. It takes <5 minutes and upon completion you will be entered into a draw with a chance to win one of ten $50 Amazon® gift cards*. Also, I'm very interested in talking to users about their current log management practices, so if anyone is up for a quick discussion, please send me a direct message. *Terms & Conditions available here. Young THWACK®-hoppers, your monthly mission is complete. You now have the skills you need to master the art of Security Kung Fu. We hope you take the wisdom from this journey to help you defeat any cyber security threats that may lie ahead. When there is no more room in the database, the disruptors will walk the earth! Your database is your sanctuary, and you must defend it against the disruptors. Your mission this month is to defeat each disruptor in your path. Along the way you will encounter Performance Hog, Blame Shifter, and Query Blocker. SolarWinds® Database Performance Analyzer (DPA) has your back by monitoring all of your databases from SQL Server® to the cloud in one installation and gives second-by-second analysis. Time is key in any battle against database disruptors (or trick-or-treaters). We have you covered in the ongoing battle against poor database performance! Good luck on your October Mission THWACKsters, and enjoy your Halloween candy! Correctly answer all 20 questions over the course of the month and you'll be entered for a chance to win the grand prize: A Xbox One X! 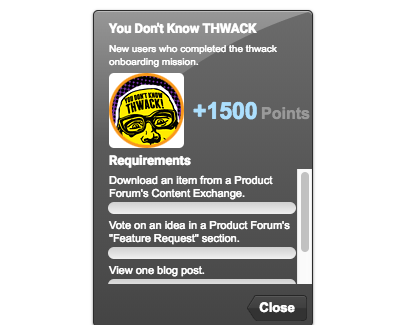 Complete the mission shortcut to earn an additional 1,000 THWACK® points & enter to win 1 of 10 sets of DBA Disruptors! Performance Hog: He’s the process that just keeps consuming. Yeah, he’s that guy that will take the last chicken wing off your plate and say “you weren’t going to eat that were you?” This would be the SQL statement you see consistently popping up as the most impactful in the charts. Think of a select with numerous joins without a where clause (nothing to filter by). Query Blocker: He’s the guy with the broken down 1984 lemon in your lane! Your stuck. You are going to be late for work. 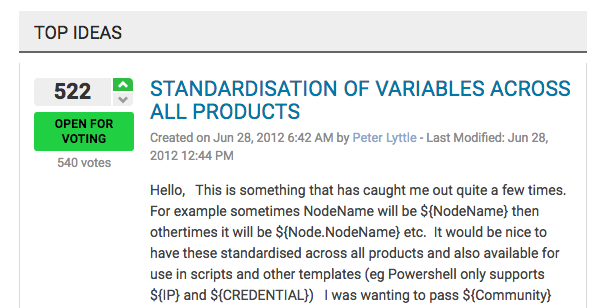 Look for the SQL transaction in your database that doesn’t commit or rollback – yeah, that’s the guy. He causes all kinds of blocking waits. He may even have rolled an external dependency into the transaction. Blame Shifter: He’s subtle. He makes his appearance when applications slow down, but no one knows what the issue is. This when everyone starts pointing fingers! No one wins the blame game, except Blame Shifter. Is it the query itself? Is it the database configuration? Is it the data model? Is it the infrastructure? Where do you even begin?! A new question will open every day (Monday - Friday) starting on October 2, 2017. Once a question has opened, it will remain open until October 29, 2017 at 11:59 p.m. CDT. Check the schedule below for exact open/close times.